Theatrical: Lee Ming Film Co. Description: Newly Re-mastered in 3-D and HD! A freighter peacefully glides the still waters of a soft Pacific night; their cargo: a recently captured 36-foot ape. 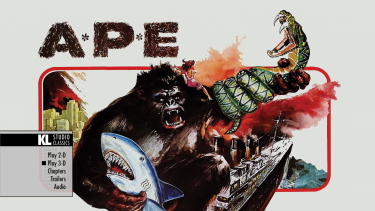 A giant fist comes up through the deck sending the sailors sprawling and in a matter of seconds, the A*P*E (Attacking Primate monster) is loose! After battling a very large snake and a giant white shark, A*P*E defies the JAWS of the great white and is the victor. 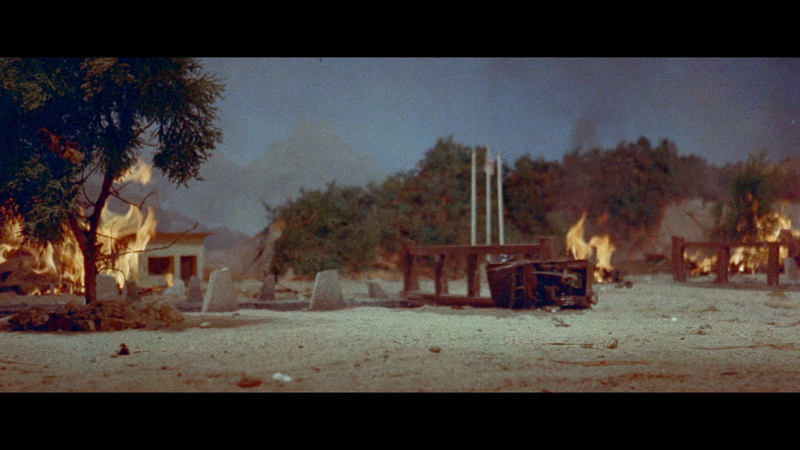 American actress (Joanna Kerns, TV s Growing Pains) arrives in South Korea to appear in a film, at the same time, A*P*E has also arrived and lays waste the city of Inchon and continues his march forward, destroying everything in his path. 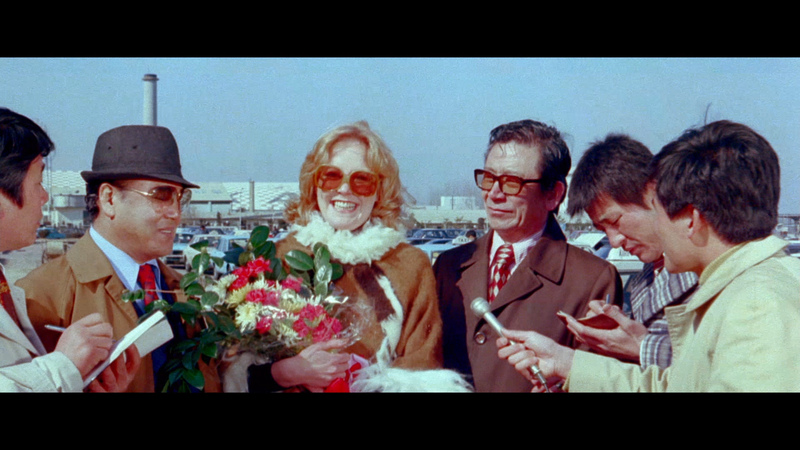 Paul Leder (I Dismember Mama) co-wrote and directed this cult classic that needs to be seen to be believed. 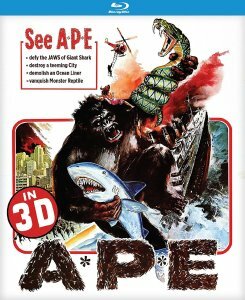 Co-starring Hollywood veteran Alex Nicol (The Man From Laramie, The Screaming Skull), A*P*E is presented in both 2-D and 3-D formats (3-D viewing requires a compatible television and Blu-ray player). 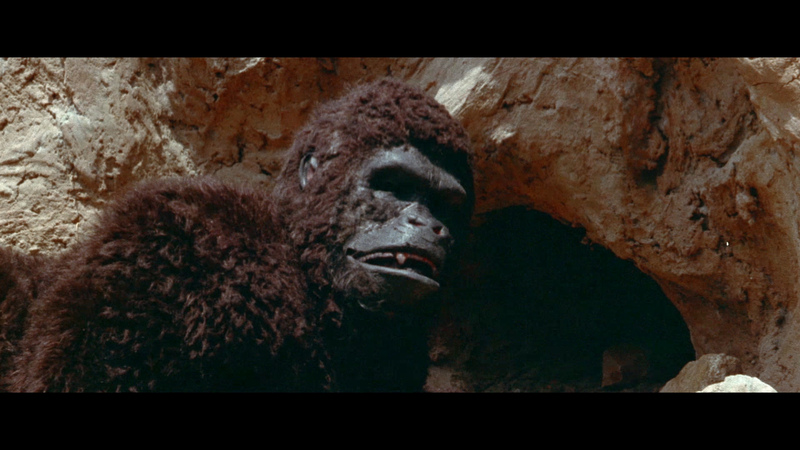 This laughable Korean rip-off of King Kong was released the same year as Dino De Laurentis's trumpeted remake to sponge up some free hype from that film's massive publicity machine (in some areas it was retitled The New King Kong). Despite the fact that the poorly-handled big-studio film was considered by many to be a pointless exercise, this movie makes De Laurentis' fiasco seem positively inspired by comparison (although the producers of this film might merit some slack -- they didn't have $20 million to blow). 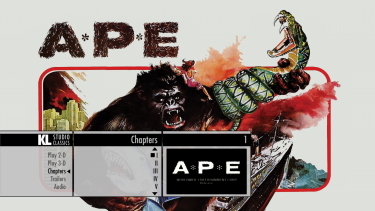 The vaguely familiar story involves a captured 36-foot ape who escapes his offshore prison to rampage through the streets of Seoul, where he falls in love with an American actress (Joanna Kerns) who is shooting a movie there. Jam-packed with laughs, both intentional (the big brute gives Korean defense forces the finger) and unintentional (look for the "Tonka" logo on the trucks he hurls through the air), this might have found a home among fans of truly awful cinema thanks to an effective use of 3-D, but TV and video versions are missing this clunker's sole bonus. 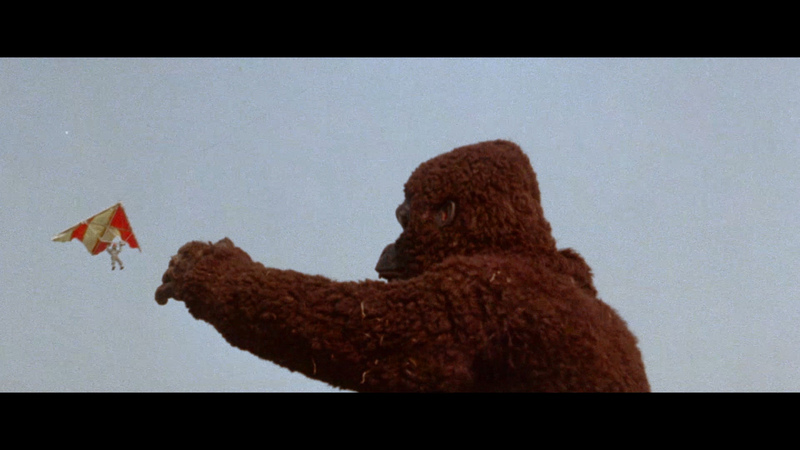 Released under several alternate titles, the most appropriate being Attack of the Giant Horny Gorilla! 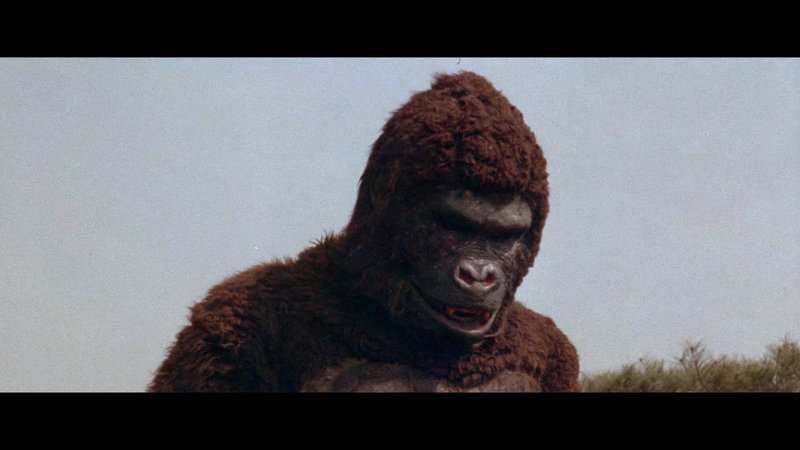 Not to be outdone in the Kaiju proliferation race, A*P*E is Korea’s version of King Kong, henceforth in this review to be called Korean King Kong. 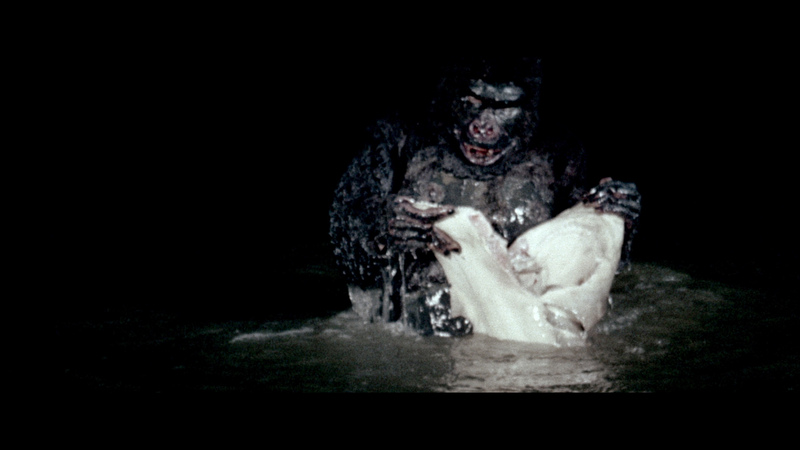 Korean King Kong is exactly like American King Kong, but different. 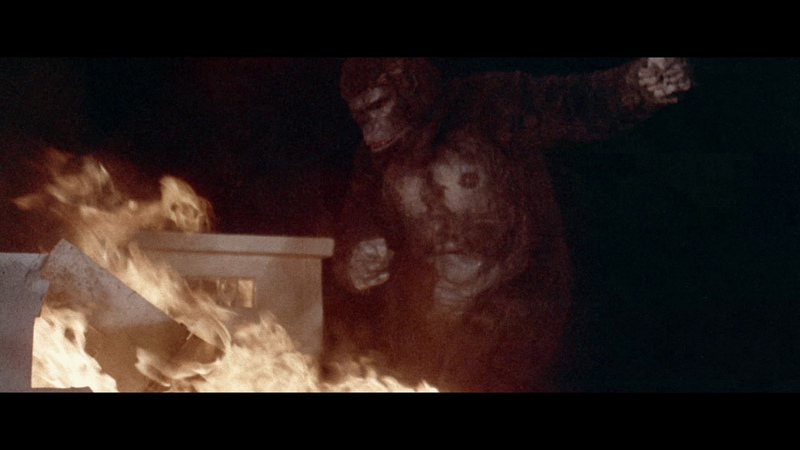 Mostly, Korean King Kong’s filmmakers didn’t have the budget for special effects, mostly. This translates as some poor schmuck in a gorilla suit, forced perspective and G-scale models. 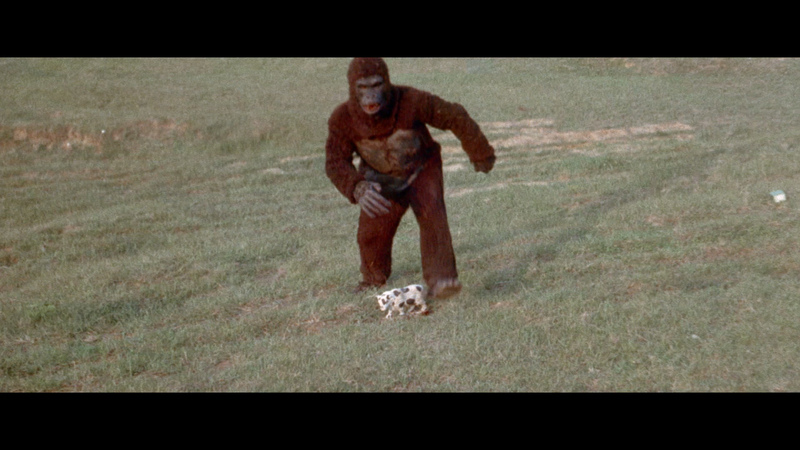 So, add this to the list of films made because someone knew someone who owned a gorilla suit. 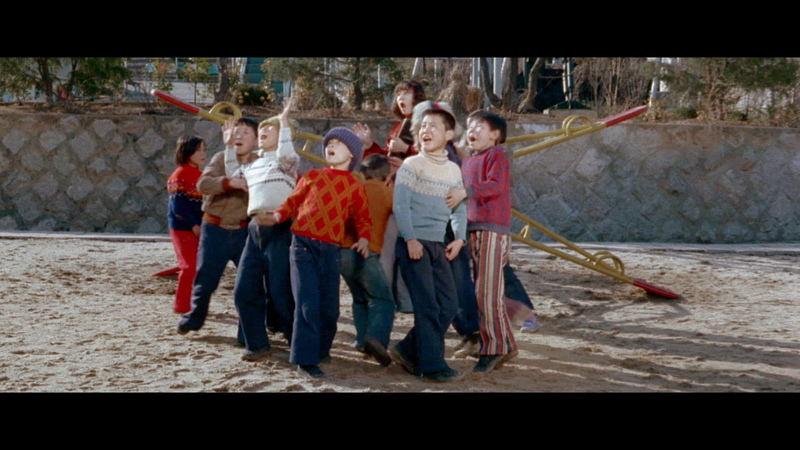 Korean King Kong also has a special super power, Maggie Seavers Fever. 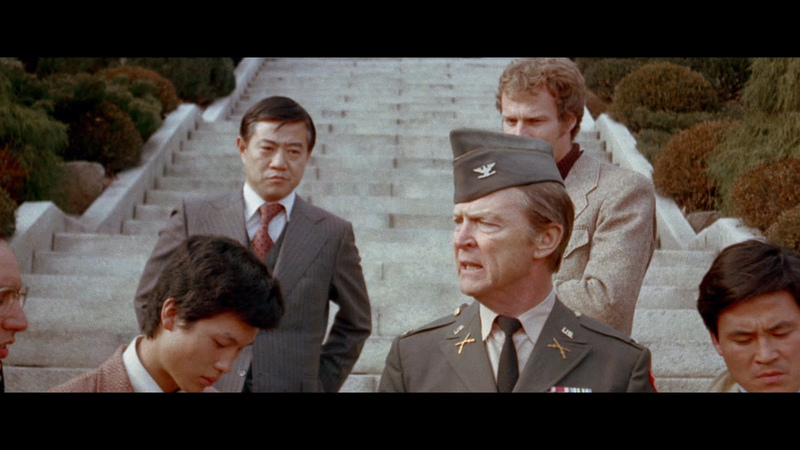 The symptom, I mean ability, of his super power allows Korean King Kong to home in on the precise location of Maggie Seavers no matter where she is—so long as she’s Seoul, South Korea, of course. 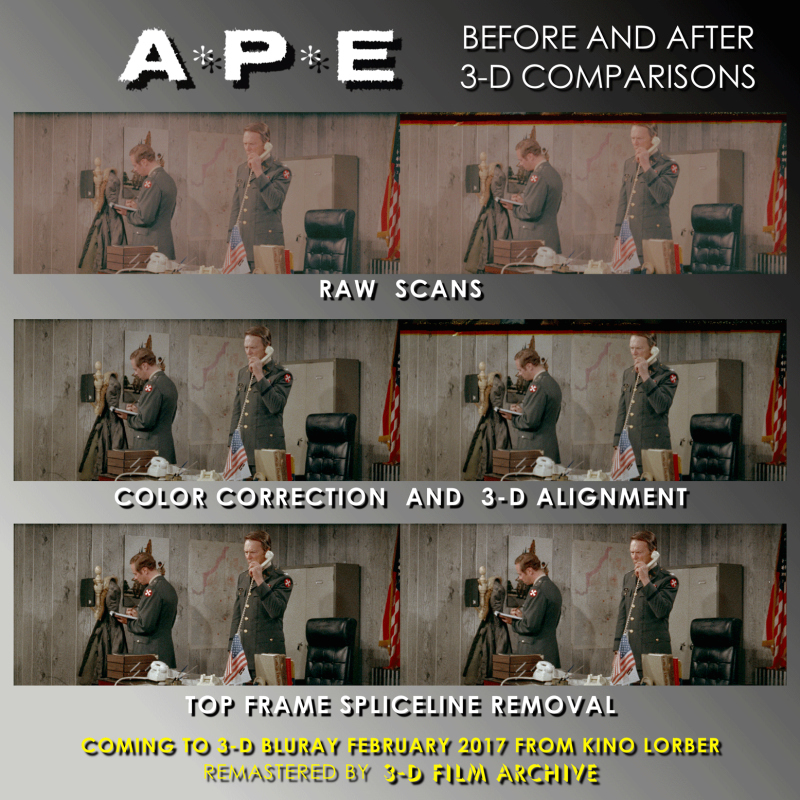 Firstly, this Kino Lorber Blu-ray package offers both the 3D and 2D (Standard) versions of the film, A*P*E. We will only review the 2D version here. 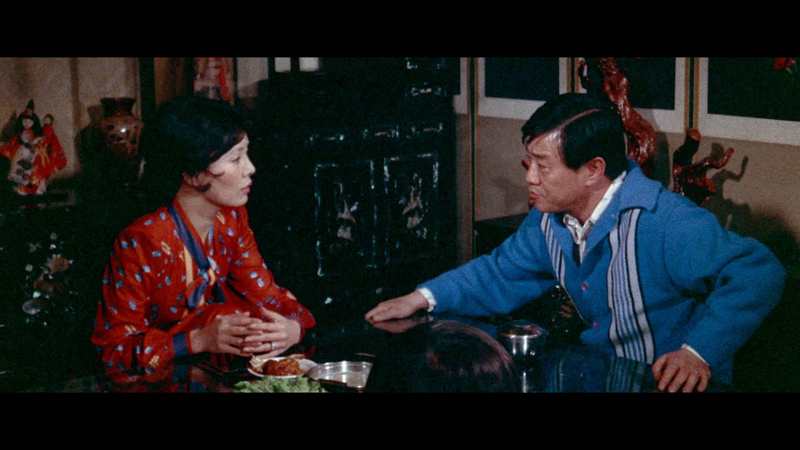 The Blu-ray 1080P transfer from Kino Lorber doesn't remove the film's frequent damage (see last 2 captures). It comes in many forms - tears, marks, decay, warping etc. 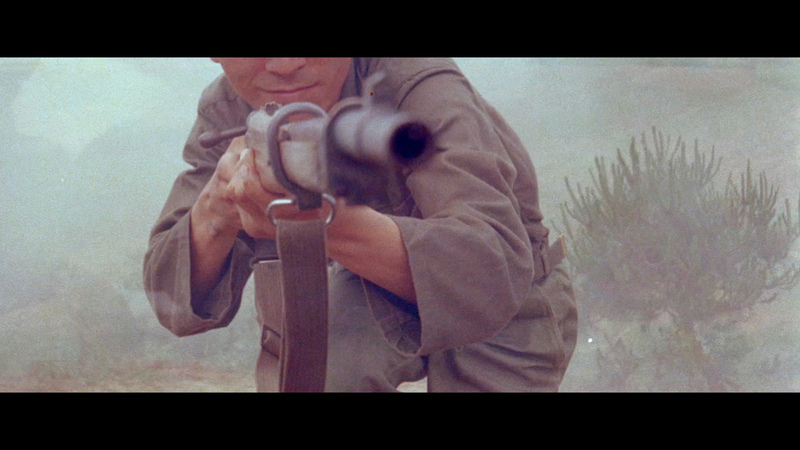 The condition of the source is pretty poor and I haven't read that there has been any extensive restoration, although Robert Furmanek tell us in email: "This was very much a work-for-hire project with zero budget for clean-up and advanced color correction. But the most important element - the 3D - is flawless! I would expect the lackluster image quality to be more a factor of the original production (the cinematographic process cited as 'SpaceVision 3-D') than the dual-layered transfer. 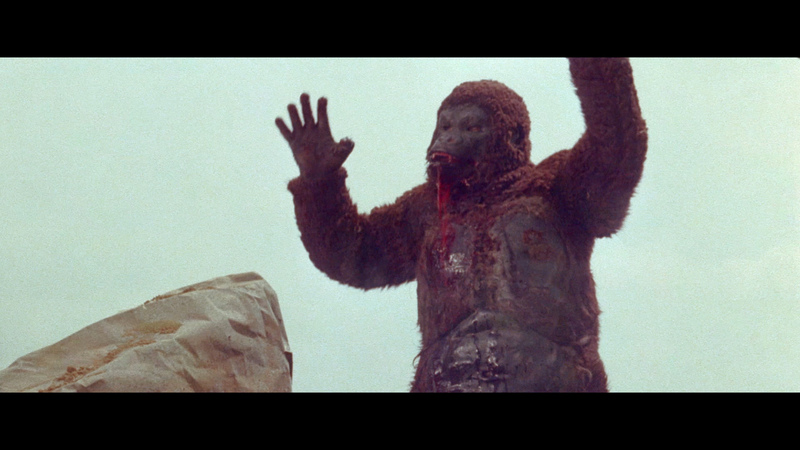 It's soft, colors are lose and the overall visuals are hazy - especially in the, transparent, ape-creature costume effects - but actually the colors are surprisingly vibrant. 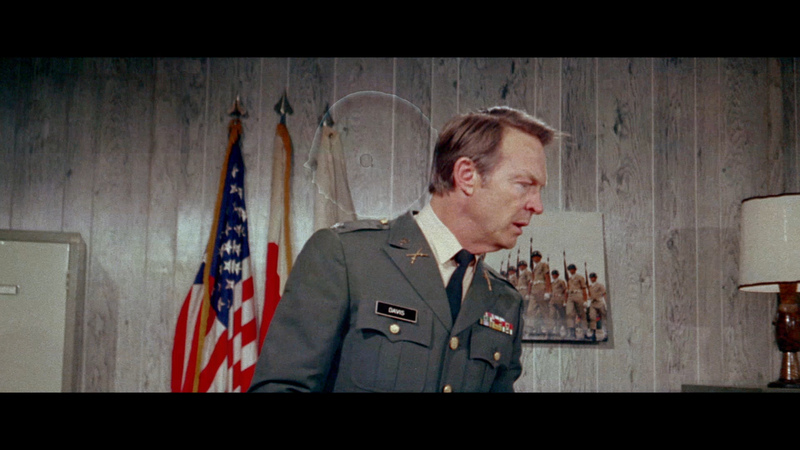 The Blu-ray provided an unremarkable presentation in the original 2.35:1 aspect ratio but probably as good as it will ever get for this particular film. Audio in the form of a DTS-HD Master 2.0 channel track at 1647 kbps (16-bit). 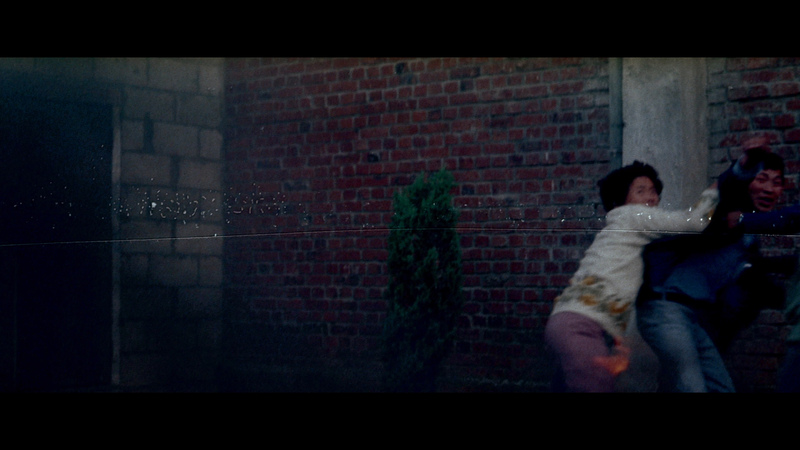 It is fairly unremarkable and occasionally rough with effects limited to the budget. 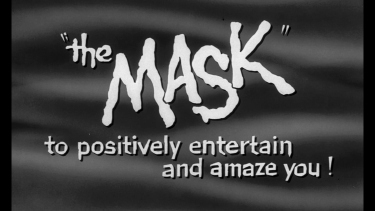 The score is credited to Bruce MacRae - his only film credit. There are no subtitles and my Oppo has identified it as being a region 'A'-locked - playable on Blu-ray machines worldwide. 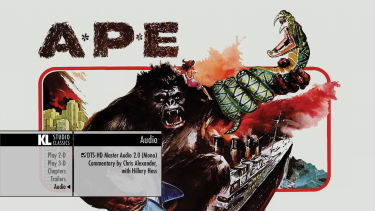 We get an audio commentary by Horror Cinema Historian, former Fangoria editor, Chris Alexander. It has Hillary Hess (Filmmaker) briefly coming to the film's defense. Chris is decently funny and discusses the G-rating of the film and the only modest sexuality being seeing Joanna Kerns' (credited as Joanna DeVarona) underwear a few times. He, rightfully, mocks the film's weaknesses and it's generally a good time. 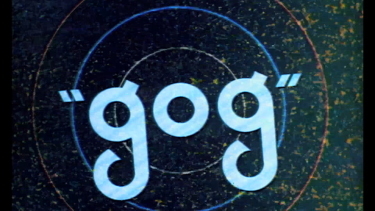 There are also trailers for A*P*E, and other 3-D efforts; The Bubble, GOG, The Mask, and September Storm. I only briefly sampled the 3-D on a friend's system and there was a reasonable amount of it, but we both found it lacking. The film, itself, is pure rip-off trash, but there are people who find that appealing. 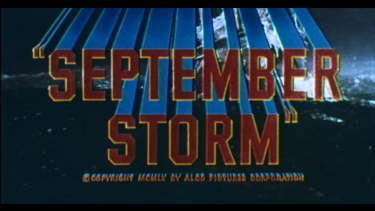 I have to admit it was fun, especially with the Chris Alexander commentary. The Kino Blu-ray is on of the lesser efforts of the 3-D format films we've reviewed, but the appeal is still there for fans of the process. Outlandish cover once you've seen what the film offers. To each his own.